You've just started your business and built an online profile, so now it's time to get visitors to your website. 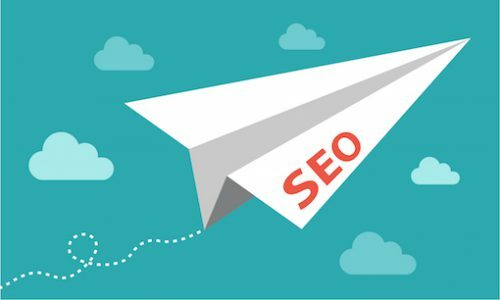 SEO is a great medium to exploit for any business, especially startups that lack funding or have no marketing presence. Want to tackle your SEO strategy? Try these 7 SEO hacks. Google Keyword Planner – a free tool to help you identify generic and long-tail keywords. SEMRush – this tool reveals the keywords your competitors are ranking for and where their backlinks are coming from. Long-tail keywords are search terms containing two or more words. They are searched for less frequently than generic keywords (one word search terms) but are easier to rank for and provide higher-quality traffic. When a searcher is looking for a trending news story on Google, Google serves an In the news section listing the latest articles first in the search. Typically, it can take Google anywhere from 1 day to 1 month to index your pages, but its algorithm prioritises content that focuses on trending news. When something big happens in your industry, open up a Word Document and get writing. The more user-friendly your website is, the easier web crawlers can search and index it. An optimised website will also reduce your bounce rate and increase time spent on the site, which aids your SEO. Oh, and make sure your website is mobile-friendly or else you could isolate more than 50% of your entire audience as a result! If your main source of traffic will be SEO, you need to write long-form content (over 1,000 words). SerpIQ found that content with more words typically ranked higher on Google. A big part of SEO is building quality backlinks to your website. Infographics have been proven to be one of the best forms of content to obtain them. Infographics are shared because they are quick to consume and easy on the eyes. Condense data and facts about your industry and display them in visual infographics. Are you so busy working on your product/service or another area of your business that you don't have time to work on an SEO strategy right now? If so, then get help. SEO is a marketing channel that gets better the more time you spend working on it. Not only will a reputable digital marketing agency typically get you better results than an in-house team, by starting now you'll be able to compound the results much faster than standing idle. If you're looking to grow your business using SEO, click here for help with your SEO strategy.